Looking Towards Spring: What Needs to be Done? It may not feel like spring quite yet in Colorado, but that doesn’t mean it’s not around the corner. Start preparing your community for the new season now, and you won’t have to do it frantically later. Here are a few things you can do to make sure everything is in place once spring has sprung. Give your communal landscaping a once-over. Is there anything you’d like to change? Any maintenance that needs to be done or that you think it’s time to tackle? Talk to your landscaping company now to come up with a plan for spring. You can even put some dates on the calendar, though these may need to change if Colorado’s weather doesn’t cooperate. Be sure to ask them what they suggest for your HOA. 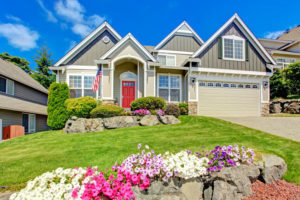 Now is the time to remind homeowners of their responsibilities when it comes to their landscaping and any home repairs that they might not have been able to take on over the winter. Gentle reminders will help make sure the jobs get done. You can even provide them with a list of trusted contractors for different tasks, in case they are new to the area or aren’t sure who to call. Storms can cause a lot of damage. Once the final snow melts, it will be time to clean up your neighborhood. You have probably dealt with any big problems, like fallen tree branches or floods. Now is the time to think about the little things. Make plans to get the wood chips all back where they belong, to clean out the dead grass and leaves from the flower beds, and more. These little things will make your neighborhood look so much better. Do you have HVAC in any of your common areas? This is a great time of year to get it serviced because you’ll find any potential problems before anyone is relying on the A/C for comfort. Call in a professional HVAC company that will test all of your A/C components, change your filters, and clean out the condenser coils. A good tune-up will help ensure your air conditioner works all summer long. Take a quick walk around your neighborhood to see what needs to be done. If sidewalks or roads need repair, it may be time to call the city or county in to do that. If communal buildings need roofs or paint, it’s time to get those approved by the board so the work can get done. In general, assess your neighborhood and make sure everyone knows what they need to do to get it back in great condition. Plan some BBQs, fix the pool, get ready for swim team, and more. When you do it now, you’ll have more time to enjoy summer later. Call us at AMI for help getting your neighborhood ready for spring!